it means he must be guilty of offenses that are unpardonable against the state and must be brought to justice, but what was his crime? And what sins has he committed? That has made him worthy of this judgment. Africa is the continent most affected by malaria, about 90 percent of the deaths rates occurs in Sub-Saharan Africa, and 77 percent were among children under age 5. Malaria occurs in nearly 100 countries worldwide, exacting a huge toll on human health and imposing a heavy social and economic burden in developing countries, particularly in Sub-Saharan Africa and South Asia. According to gatesfoundation.org about an estimated sum of 207 million people suffered from the disease in 2012, and about 627,000 died. Malaria is caused by parasites transmitted by mosquitoes. CDC.gov reports that four different types of parasites can carry the disease: Plasmodium falciparum, P. vivax, P. ovale, and P. malariae. Plasmodium falciparum is the most deadly. Even in relatively mild cases, it can cause high fever, chills, flu-like symptoms, and severe anemia. These symptoms can be especially dangerous for pregnant women and young children who are experiencing the disease for the first time. Severe malaria can cause lifelong intellectual disabilities in children. Malaria has devastating social and economic impact which is estimated to cost billions of dollars in lost productivity every year. According to malaria.org, Malaria costs Africans $12 billion a year; Studies suggest that if malaria had been eliminated in the 1960s, Africa’s GDP would have been 32 percent higher by 2000. That’s a loss of $100 billion. In addition, another challenge which Malaria poses to the Africa economy is that when someone is infected with malaria, the costs on treatment and medication not to mention the loss of income during a quarantine period can be devastating to the household, this makes malaria a large obstacle in the way of Africa’s economic development. What has been said so far points to the facts why Malaria should be eradicated for good, but how do we achieve this? Contrary to popular belief, a mosquito is not born with Malaria. Who.int reports that a mosquito contracts malaria by sucking the blood of an infected human. This is why it’s critical that those already infected protect themselves from more mosquito bites, as they could be contributing to the disease’s spread. Only certain species of mosquitoes of the anopheles genus—and only females —can transmit malaria, according to World Health Organization. The importance of insecticide-treated nets (INT) cannot be over emphasized this is because sleeping under an insecticide-treated net is the most widely adopted preventive measure against malaria. ITNs are effective because in the majority of malaria-endemic regions of the world, the female mosquito that transmits malaria only bites at night. ITNs – and in particular long-lasting insecticidal nets (LLINs), represent a cost effective means of malaria prevention for at risk populations. Due to their effectiveness as a vector control method, the WHO recommends that every person at risk from malaria, in areas identified for ITN use, should sleep under a net. The increased number of people sleeping under an ITN is one of the main contributing factors to the 60 percent reduction in malaria deaths since 2000, and the 6.2 million lives saved since 2001 However, it is important that high coverage of ITNs is continued, even in the face of significant reductions in malaria rates, otherwise the disease will resurge. “My people are destroyed for lack of knowledge...” The foregoing reference from the bible in Hosea 4 vs 6, gives us another means of combating malaria; misconceptions about malaria preventative measures still existed among the local community, thus providing them with correct knowledge through sensitization, mobilization, training and education for local authorities, community health workers and community itself seemed to be another appropriate focus for malaria elimination. There is a serious need for repeated intensive education with a focus on malaria prevention methods, malaria symptoms, early diagnosis and treatment preferably at the hospital, correct use of bed nets, the benefits of indoor residual spraying, hygiene and environmental cleaning as well as the importance of having health insurance. Also, the involvement of various stakeholders is also a key to success in malaria elimination, including stakeholders at national level, community grassroots level, and partnership between the national and local level as well as other community organizations. To achieve this, according to nih.gov, the government should be in charge of making available drugs and ongoing training for health professionals in the state. The health center level are expected to organize local leaders and health workers, undertake monitoring and evaluation activities as well as to report back to central level. The community health workers are expected to organize community meetings and conduct education and sensitization at community level. The NGOs, churches, schools, and cooperatives were identified as other channels that could be used for community sensitization. 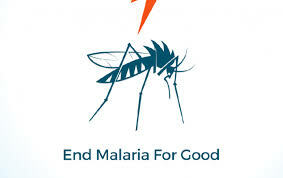 Furthermore, creation of malaria clubs is recommended to be used as the forum in which all malaria activities at community level are organized, coordinated and communicated to the wider community. In conclusion I do believe that by lowering taxes on treatments and preventative tools, with the measures mentioned above, we would be able to end the rein of this rebel and outlaw “Malaria” for good!